Our attitude toward our problems influences our ability to solve our problems. When we view a problem as a �negative� we react with anxiety, resistance, resentment and disappointment. These negative emotional reactions conflict with, and in the extreme entirely shut down our creative, constructive problem-solving faculty. Seeing a problem for what it really is, an opportunity to improve your situation, activates your positive problem-solving power. Every problem really is a gift. Your problems represent your gateways to the greater success, fulfillment and improvements that you seek. For instance, if you run into a financial problem, solving the problem improves your financial situation. When we react to a problem with anger, insecurity or disappointment we express misunderstanding of it. We also express a problem with our self-confidence. If you KNEW without a doubt that you have the ability to easily solve the problem facing you, and that solving it will advance you toward your goals, you would not fret over the discovery of the problem. You would feel grateful for it. Recognizing, for instance, that a fellow employee is showing a lackadaisical, irresponsible attitude toward work shows you what you need to do to improve your situation. If you are responsible for, or dependent upon that teammate's performance, you simply need to come up with a way to improve that teammate's performance, or to come up with a strategy for succeeding whether that teammate changes or not. If you notice yourself reacting with frustration, impatience, or other forms of unhappiness to the problem, work on freeing yourself from that negative problem-reaction pattern. This liberates your greater problem-solving ability, which will take you to higher levels of success. Problems always exist. They represent the limitations of our current situation, as well as our bridge to greater success and fulfillment. Realizing a problem means that you have arrived at the boundaries of your current level. A metaphor might be running an obstacle course. To �win� you merely need to reach the end. 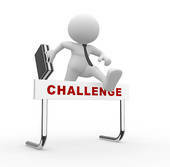 There is only one hurdle that you have to overcome and it's way up ahead, right before the finish line. But for now, it remains out of sight. As you progress toward the finish line, you can see the hurdle (the problem) because you have advanced far enough along, gotten close enough to the finish line to perceive it. Knowing that you can easily overcome the hurdle, and seeing it as a all that stands between you and victory, gives you cause for celebration when you see it. 1: The process begins by centering yourself in calm confidence. 2: Then become clear about exactly what the problem is. 3: Then consider what you need to do to solve it. 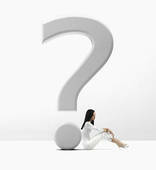 If at any stage of the process you begin feeling stressed out, frustrated, insecure or impatient let it go for a while. Work yourself back into calm confidence. When your stress subsides, return to your unstrained efforts to come up with a solution. Repeat this stress-free, rhythmic pattern, with an attitude of trust that you can and will solve the problem, and that solving it will advance you toward your goals, and your solution will dawn in the soonest, easiest way. Since we have habitual, emotional reactions to problems we need to deliberately practice being aware of our emotional reactions to our problems. Facing problems with a positive attitude dissolves the barriers to our goal-achievement. So, to demonstrate problem solving skills for greater success, celebrate your problems! Bring enhanced problem-solving skills to your workforce, including managers at all levels, CEOs and Team Leaders, with a motivating team building seminar, keynote or series of trainings on problem solving, decision making, goal achievement and more. Call 404-297-4043 or e-mail for more information or to speak directly with Bob Lancer.